Transport yourself to a Vegas gambling hall and grab the opportunity to win great riches with the classic online casino jackpot slot Joker Millions. Joker Millions jackpot slot is a digital interpretation of a classic fruit machine. You play traditional fruit symbols on the reels and, of course, plenty of jokers, which you will need to hit the jackpot. With Joker Millions’ easy-listening, soundtrack, you can truly imagine you are playing in hall full of fruit machines in some famous Las Vegas casino, dreaming of a 6-figure cash prize. At first sight, Jokers Million slot is quite simple and straightforward, yet simplicity can go a long way. Not only is Joker Millions a pooled progressive jackpot slot, it has quite a lot of features, even in the main game, to keep you entertained. As a pooled progressive slot game, the prize pool gets funding from 5.5 percent of every bet placed by all players. This jackpot will keep on growing until it will be hit by one lucky winner. The jackpot can be won in the bonus round, yet there is also plenty of fun to be had in the main game. You play classic fruit machine symbols on the reels including pieces of fruits like, cherries, plums and lemons. The lucky number 7 is the highest paying symbol. If you play 5 of these on the reels in one spin, your bet can be multiplied up to factor 300. The Joker functions as a Scatter and can award you multipliers up to x1000 and it can unlock the Jackpot Bonus Round, giving you a chance to hit that juicy jackpot. Every time you play a winning combination on the reels, which is 3 of the same symbols in one round, the highest paying symbol will remain in place and you will be awarded a re-spin. With the re-spin you can try to play more of the same symbol on the reels to improve your win. Every time you manage to do so, you get another re-spin until the whole reel is completely filled with the same symbol or no more winning symbols appear. If you manage to fill one or more columns with the same symbol, you are awarded a multiplier. Any wins you have made will be multiplied by the number of columns you have filled with the same symbol. The Multiplier in this game helps you to complete a column of the same symbol and if you manage to do so, your win will be multiplied. You unlock the Jackpot Spin Bonus Round by playing at least 5 Joker symbols on the reels in one round. Each Joker awards you a mystery win, which can be a multiplier as high as x1000. The Freeze and Re-Spin feature is also active in the Jackpot Spin Round and as the Jokers freeze, the reels will re-spin and as long as additional jokers appear in the re-spin, you continue to be awarded re-spins while Joker Symbols remain frozen on the reels. If you manage to fill the entire reel with Jokers, you will win the jackpot. This prize pool can be as big as £3,000,000. Joker Million is well-designed jackpot game translating the fun and excitement in a gambling hall to an online casino slot. Game developer Yggdrasil aimed to produce a classic slot game suitable for online betting and graphics are of good quality. The slot game has a small number of features that keep players entertained. 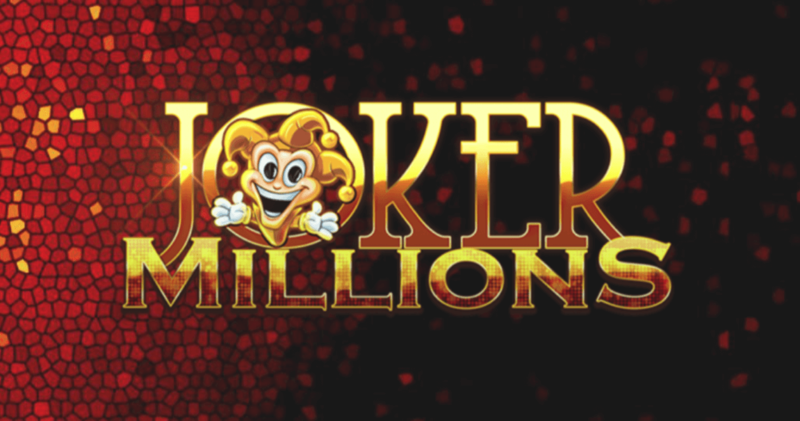 Joker Millions is a progressive jackpot slot, which means you can win a cash prize of several million, when you manage to hit the jackpot when it’s dropping hot. You can start playing for real winnings from as little as £0.25 per spin, so smaller players too can win attractive cash prize thanks to the multiplier feature and the jackpot spin bonus round.